Nespresso vs. De’Longhi - What's The Difference? Are you a frustrated DIY barista who’s tired of trying lengthy, messy methods of home brewing that just don’t cut the proverbial mustard? If this sounds like you, you’re probably contemplating adding an espresso machine to your collection of brewing equipment. And we’re not talking about a hulking, steaming, grinding monster such as you’d find on your local commercial coffee shop counter. What most casual DIY espresso makers need is an espresso machine that’s designed for use in the home. Sounds simple, doesn’t it? Unfortunately, there are lots of different varieties of this brewing beast, and working out which is best for what you want can be confusing. Well, no worries, we’ve got you covered. The two most popular (and oft-confused) brands we’re looking at here are Nespresso and De’Longhi. 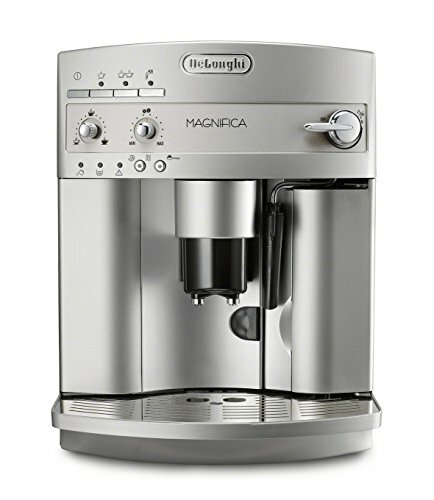 De’Longhi makes all kinds of espresso machines, including some that are compatible with Nespresso. Other brands like Breville also make Nespresso machines, and then Nespresso themselves make a line of machines. So long story short, if you’re a fan of espresso pods – you can get a Nespresso compatible machine from several different manufacturers (including De’Longhi). Looking for more info? 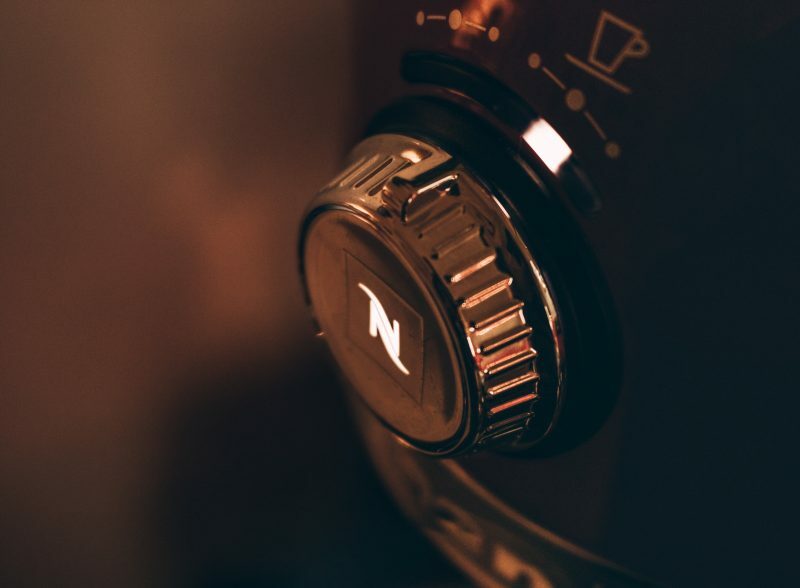 Keep reading..
As the armchair detectives among you have probably already deduced, Nespresso machines are made by the Swiss company, Nespresso, part of the Nestlé food group. You’ll probably have seen the advert for these sleek machines, featuring Hollywood heartthrob, George Clooney. Nespresso machines use Nespresso’s unique patented coffee “pod” system to brew a single cup of great-tasting espresso. Simply load up the coffee pod into the machine, press the button, and wait for the coffee to brew. Simple! The machine extracts the coffee flavor from the pod by flushing hot water through it. The brewed coffee then drains into your waiting cup. You can set the machine for the cup size that you want and choose different pods for different strengths and flavors. However, that’s pretty much all there is to brewing your coffee with a Nespresso machine. If you want to make lattes or cappuccinos, you’ll need to add an electric milk frother to your bundle and create the drink yourself, once the basic espresso is made. Although every home espresso machine comes with pre-set programs, you can customize the result to suit your precise flavor preferences.Watch the color of the coffee as it flows from the machine into your cup. If your room isn’t well-lit, use a torch (that’s what the one on your iPhone’s for, obviously. )Start the flow, and then stop it according to the color changes (set out below). Flow control is achieved by pressing and holding down the program buttons. Simply press “start” again to re-establish the flow.When the stream starts, you’ll note that the color of the brew is reddish-brown. Reddish-brown = Ristretto.As the flow continues, the color changes to caramel/light brown, which = Espresso. When the shade changes to a bright yellow or blonde color, the extraction process is complete, and the liquid that’s entering the brew is just hot water with a small amount of residual extracted coffee.Choosing the precise coffee concentration is a little fiddly, but it can be achieved with practice. Nespresso machines heat up very quickly. Although this means that your brew is delivered to you speedily, it can also leave you with a lukewarm coffee. If you like your early morning cup of Joe steaming hot, try using the following trick …Without inserting a pod into the machine, put your cup under and turn the machine on. Select Espresso and allow the water to flow through the machine. Once the stream has stopped, open the machine and put a pod in, leaving the cup in place to catch any drips. Empty the cup and start the machine.The machine and its internal parts are now warmed through, as is your cup. As a result, your brew should be nice and hot. This exercise also flushes the machine through, preventing a build-up of coffee oils that could affect the flavor of future brews. Always use bottled or filtered water in your Nespresso machine. In fact, this advice stands for all coffee brewing. Tap water tends to taste of chemicals, and if you live in a hard water area, the limescale it contains will eventually damage your machine. Before you insert a pod, check the foil. Each pod should have a slight bulge in the foil. If the foil looks saggy or is totally flat, it may have a hole in it. A pod with a hole in it won’t give you great-tasting coffee, as the airtight seal has been broken and the coffee inside may have become stale. Just because you have a Nespresso machine doesn’t mean that you’re limited to using Nespresso pods. There are lots of other companies out there who make compatible coffee pods. Check out a few alternatives to see what brand gives you a flavor you love. Although flushing your machine with clean water will help to keep it free from coffee oils, you should also run a cleaning capsule periodically for a deeper clean. Even if you are using filtered or bottled water, you should descale your Nespresso machine at least annually. You can buy descaling pods or liquids online; check the manufacturer’s manual for instructions on which products to use and how to select the descaling program. The De’Longhi company makes a ton of different coffee gear – including espresso machines. However, they also make a line of Nespresso compatible espresso machines. 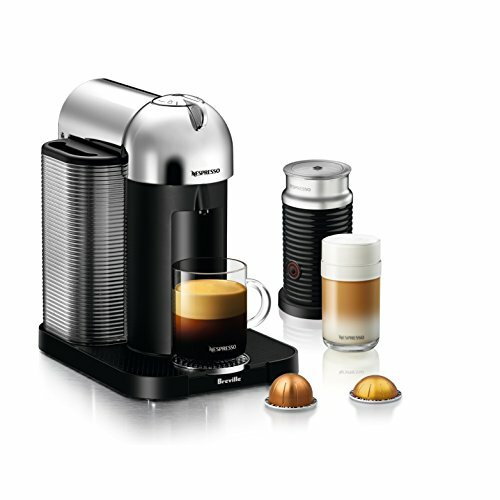 So if you’re brand loyal to De’Longhi and also love the convenience of Nespresso pods, then you’re in luck. These machines see the marriage of two of the main players in espresso and coffee, whose union has resulted in an excellent home espresso machine. The machines themselves are made by De’Longhi, a world-renowned manufacturer of small domestic appliances and food preparation machines, including espresso coffee makers. In the case of their Nespresso machines, you will use Nespresso’s capsules to make the coffee. The basic principle of operation is the same, with one key difference. De’Longhi machines have an integral “Hot Milk” system. The Hot Milk system is a detachable milk tank that fixes to the machine, heating, mixing, and frothing the milk perfectly for whatever coffee-based drink you choose from the preset menu on the machine. As the tank is detachable, any leftover milk can be stored in the fridge for later use, and cleaning the tank once it’s empty is quick and easy. The De’Longhi EC155 15 BAR Pump Espresso and Cappuccino Maker If you click this link and make a purchase, we earn a commission at no additional cost to you. can take both pods for convenience and speed of preparation or your own ground coffee if you prefer. You can prepare both cappuccinos and lattes with the neat swivel jet frother attachment. Two separate thermostats ensure that your espresso is always brewed to the correct temperature by allowing you to control the steam and water pressure separately. 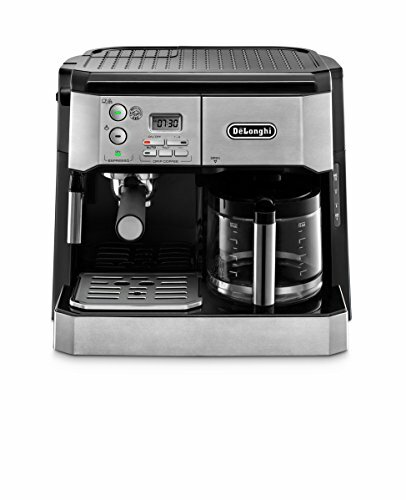 Then you have De’Longhi’s BCO430 Combination Pump Espresso and 10-cup Drip Coffee Machine with Frothing Wand If you click this link and make a purchase, we earn a commission at no additional cost to you. . This offering gives you the flexibility to brew drip coffee or espresso, with the handy addition of a built in frothing wand. So, if you’re a George Clooney wannabe, or if you just want a delicious cup of espresso-based coffee to start your day, you’ll want to buy one of these babies. A bog-standard Nespresso machine is perfect for those who prefer their coffee straight. This style of machine would suit you best if you want your coffee in a hurry and with no frills. All you need to do is pop in the pod, press go and make your toast while your coffee brews. These machines are also perfect for those bean-heads who are on a budget, coming in cheaper than the De’Longhi branded ones. Those of you who crave a creamy latte or frothy cappuccino to start your day might be happier with the convenience of a De’Longhi and its built-in Hot Milk system. There’s certainly a wide variety of different De’Longhi coffee machines out there, each one offering something slightly different in functionality. There’s also a huge variation in price. You can pay a double-figure sum for a basic De’Longhi machine, or spend a few hundred bucks on an all-singing, all-dancing one that will also vacuum for you while it brews. Well, almost. Whether you choose a Nespresso or a De’Longhi, you can be assured of a quality piece of kit that will brew great coffee and last you a lifetime too.